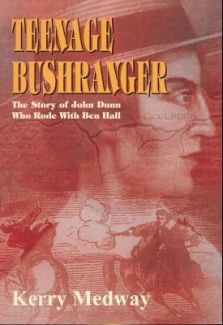 On this date in 1866, 19-year-old Australian bushranger John Dunn was hanged at Darlinghurst Gaol. Young master Dunn, deft hand with a horse and a firearm, in 1864 joined a notorious outlaw gang then under the leadership of Ben Hall and John Gilbert. This new Felons Apprehension Act — despite its name — empowered people to kill alleged bushrangers without attempting to detain them. It did this by setting up a fast-track process to legally outlaw (pdf) individuals by name. 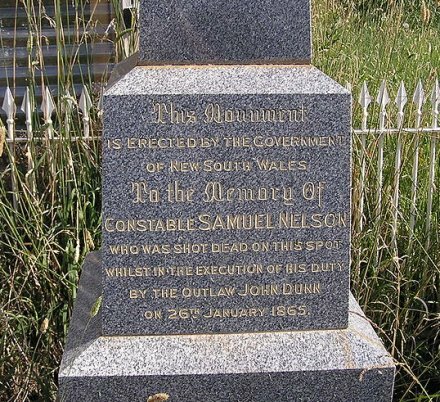 Dunn done did his own part to stir up this legal hornet’s nest by killing a constable named Samuel Nelson (father of eight children!) during a hotel stickup at the New South Wales hamlet of Collector. But the kid had better elusiveness than his bosses. Once they could keep him long enough to try him, Dunn was done for. It took a jury ten minutes to order him to hang.